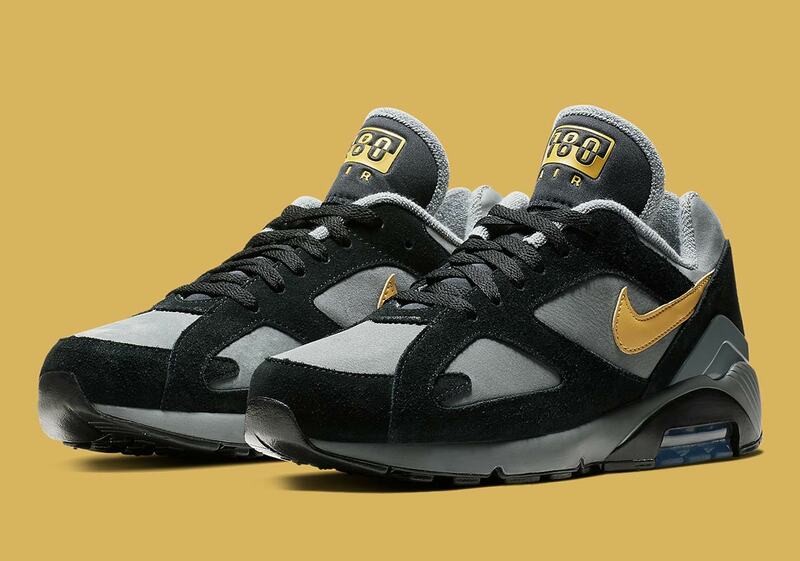 Nike’s Air 180 is usually one of the more underappreciated shoes in the Air Max lineage, but it’s enjoyed a fruitful 2018. With the release of the OG “Ultramarine” colorway, a collaboration with Comme des Garcons, and a well-received “Fire and Ice” pack, the 180 has once again found a place with sportswear heads and Air Max nuts. 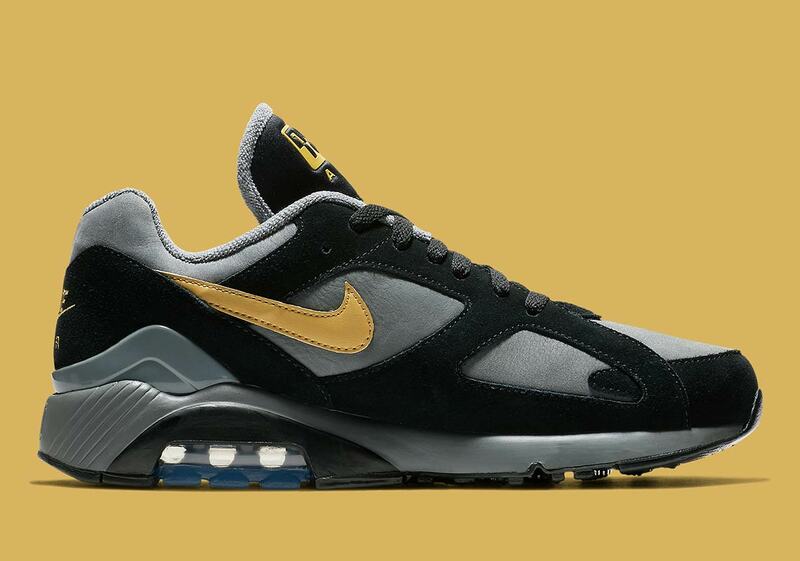 Now, it’s set to release in a clean combination of black, grey, and gold for the autumn months — and it even features a new mix of materials. 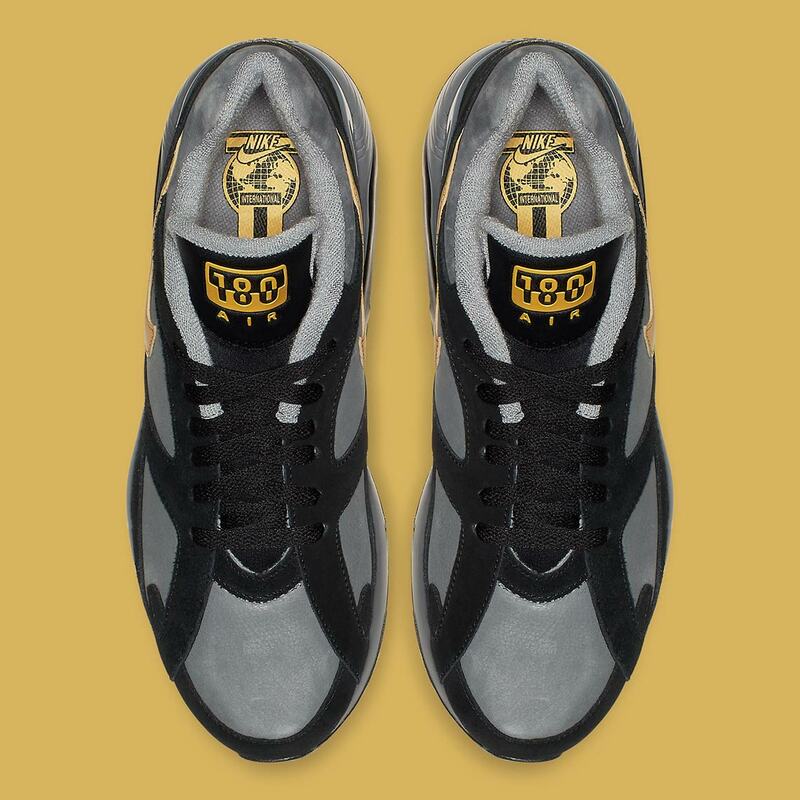 Although the 180 typically opts for a stretchy synthetic as a foundation, this new colorway utilizes a smooth grey nubuck instead for a slightly more durable — if less flexible construction. 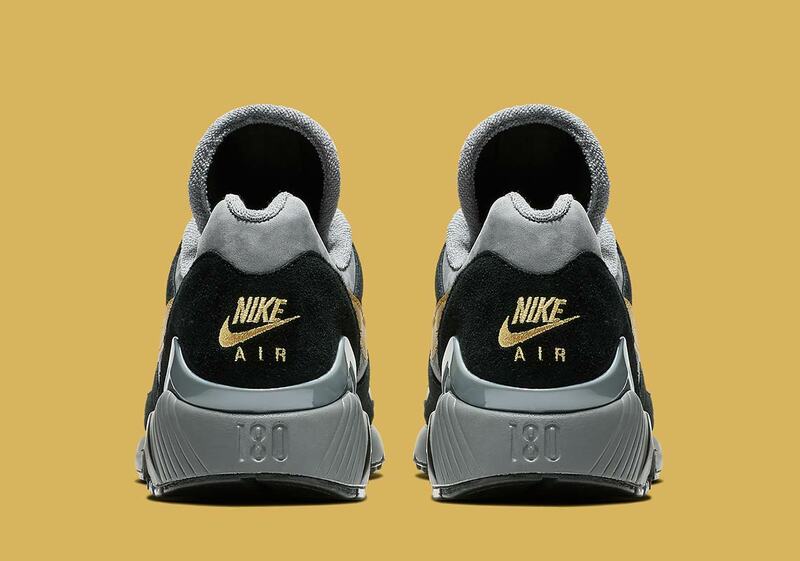 A slightly shaggy black suede is called upon for the overlays, and rich gold accents arrive on the midfoot swoosh and heel/tongue branding. 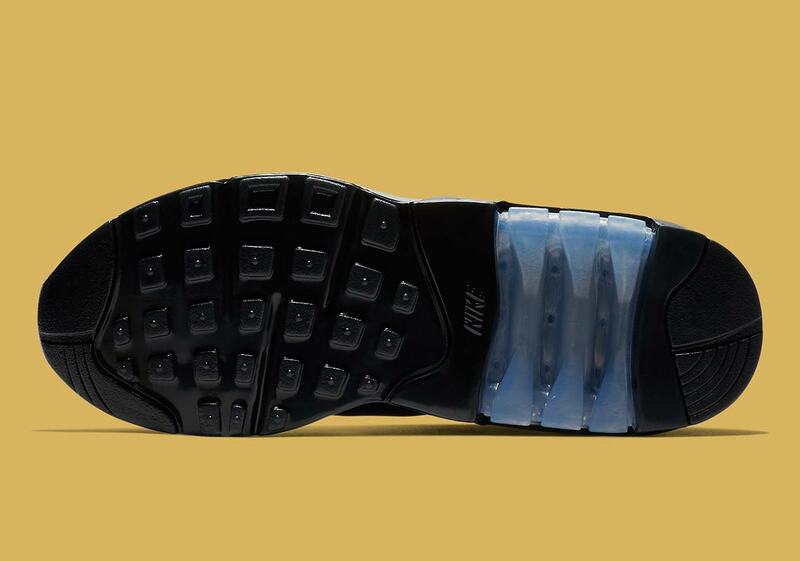 For a final touch of flair, an icy blue rubber appears on the outsole under the Air bubble. 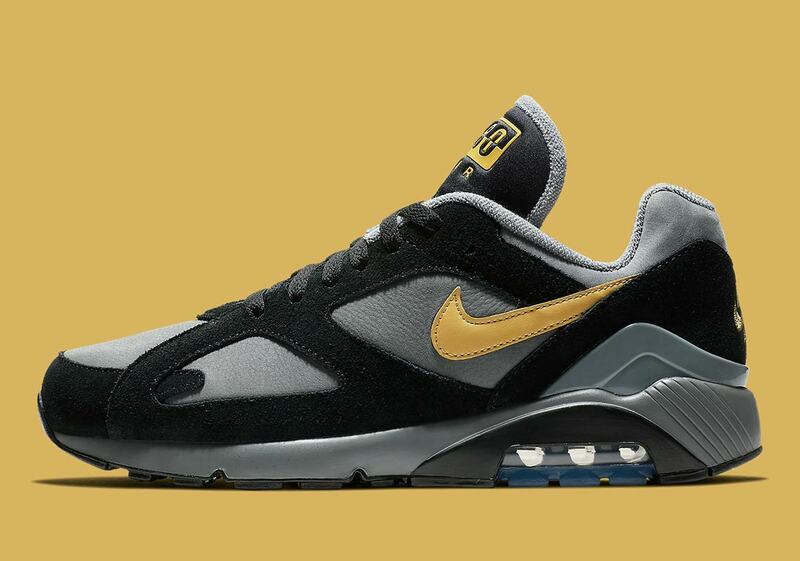 Check out a full set of official images below, and look for these new Air 180s to arrive on Nike.com later this Fall for $130 USD.